ON DISPLAY & ON SALE NOW! 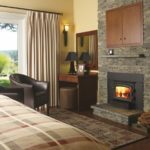 This fireplace insert is perfect for that drafty fireplace that isn't quite big enough for a standard insert or for that area in your new house that invites a more compact style heater. 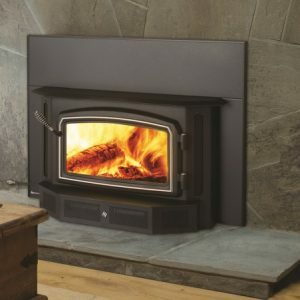 It also adapts to fit most pre-fabricated fireplaces delivering clean, high efficiency heat to your home. 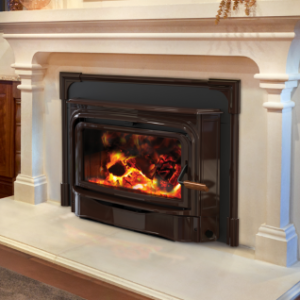 This large Hampton cast wood insert slides easily into your existing fireplace turning your drafty fireplace into a high efficiency heater; instantly. 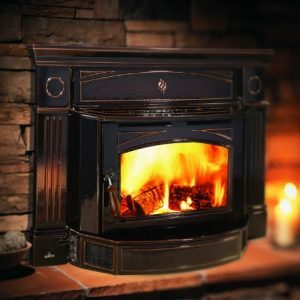 Not only does it provide up to 75,000 BTU of high efficiency heat, it increases the value of your home with the timeless beauty of luxurious cast iron. This insert’s flush design takes the wood insert category to a whole new level. Clean lines surround an expansive linear firebox providing you with a designer look around an incredible fire. 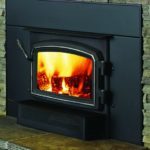 Add the Eco-Boost™ technology, and the ability to provide clean, consistent heat for up to 2600 square feet and this insert is unmatched in the industry. 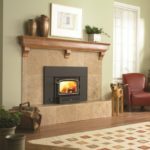 The hybrid catalytic system allows the fuel to burn at a slower rate, delivering 14 or more hours of heat with a single load of wood. Fuel is utilized to its full potential with only 1.8 g/hr. of emissions and 86.1% efficiency! 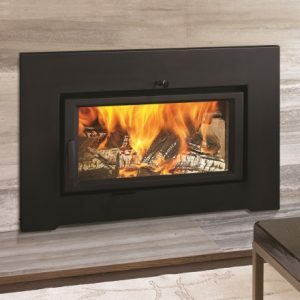 The Princess Insert is a high efficiency wood fireplace insert, (86% LHV efficiency, 80% HHV), and will burn up to 1/3 less wood to heat your home thus lowering your heating costs. 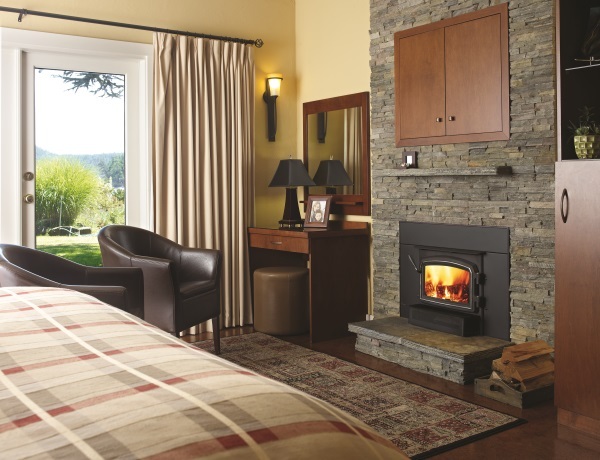 The built in thermostat allows you to regulate the heat output at a constant rate even during a power outage. 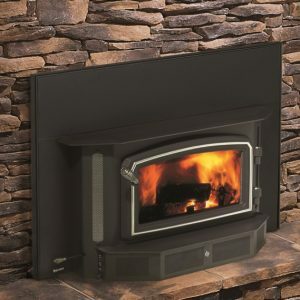 The Sirocco 25 is a medium sized fireplace insert. At 2.3 cu. 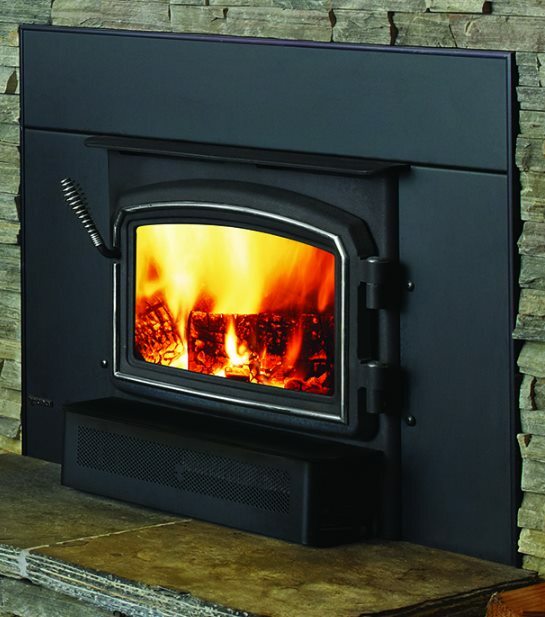 ft., the firebox will take up to a 22″ log and can deliver warmth for up to 25 hours on low. 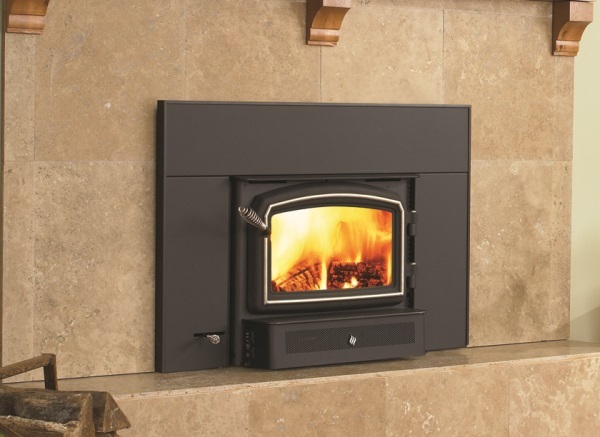 The Sirocco 25 is very clean and efficient and can heat from 800 – 1,800 sq. ft. 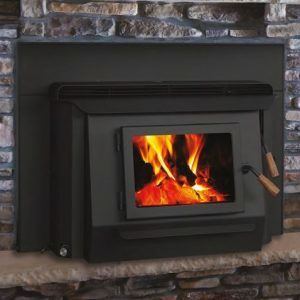 This flush insert extends to only 2.6 inches from the face of the fireplace to the door opening, helping to keep hearth protection to a minimum. The door features a large, 24″ x 11″, wide-screen glass viewing area with a nickel plated and hand made olive-wood door handle. Attention to detail is evident from the layered surround panel to the unique control system that allows you to select the heat you want. 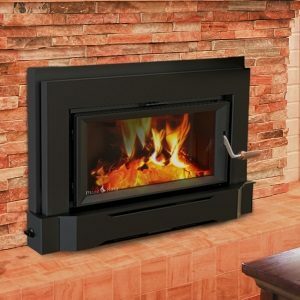 The Ashford 25 is a medium sized fireplace insert. At 2.3 cu. 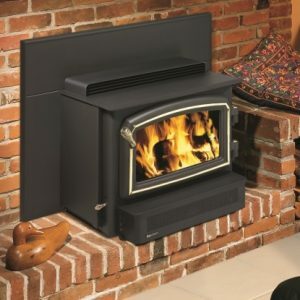 ft., the firebox will take up to a 22″ log and can deliver warmth for up to 25 hours on low. 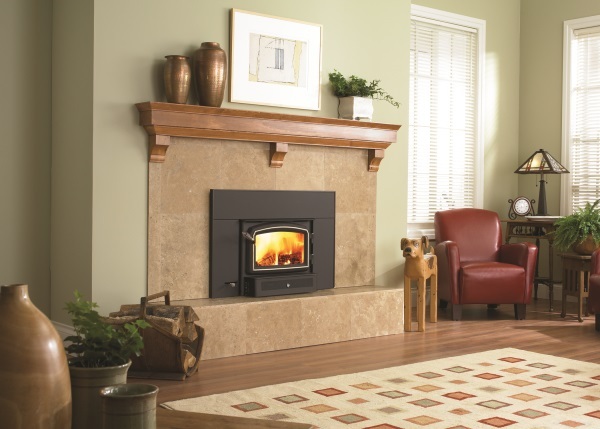 The Ashford 25 is very clean and efficient and can heat from 400 – 1,600 sq. ft. The door features a large, 24″ x 11″, wide-screen glass viewing area with a nickel plated and hand made olive-wood door handle. 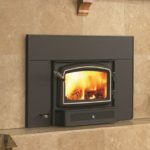 Attention to detail is evident from the layered surround panel to the unique control system that allows you to select the heat you want, and is featured in Metallic Black or Chestnut Wood Enamel.